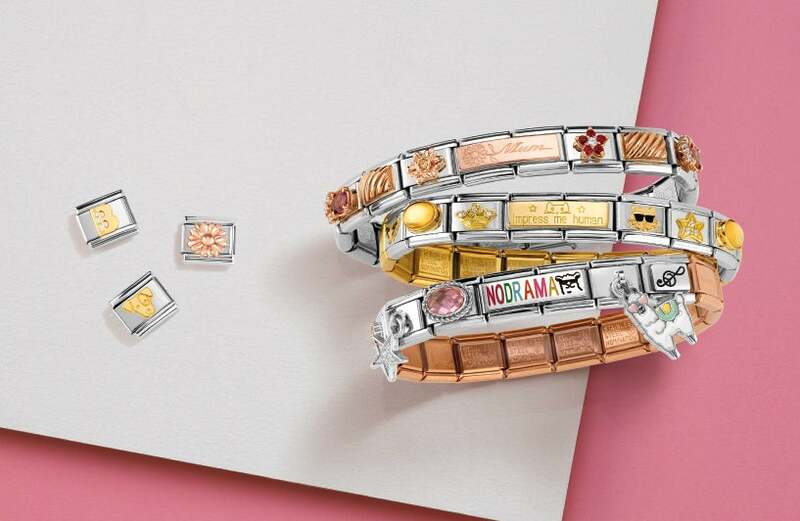 Raise your glass to true love with the Celebrate Love Charm from Nomination. This sweet little charm is crafted from polished stainless steel with an 18ct gold wine glasses design, with purple enamel and topped with a red enamel love heart. Carry love with you wherever you go. https://www.johngreed.com/nomination-celebrate-love-classic-charm 127203 Celebrate Love Classic Charm https://www.johngreed.com/media/catalog/product/n/c/nc0546_0_2.jpg 22 22 GBP InStock /Women /Women/Gifts/Occasions/Congratulations Gifts /Women/Gifts/Occasions/Valentine's Day Gifts /Women/Charms /Women/Brands/Nomination /Women/Brands/Nomination/Nomination Charms /Women/Gold Jewellery /Women/Gifts/Themes/Love /Women/Gifts /Women/Gifts/Occasions /Women/Brands /Women/Gifts/Themes /Valentine's Day /Valentine's Day/Hearts /Valentine's Day/Playful Love Raise your glass to true love with the Celebrate Love Charm from Nomination. This sweet little charm is crafted from polished stainless steel with an 18ct gold wine glasses design, with purple enamel and topped with a red enamel love heart. Carry love with you wherever you go.